The new HR mandate is moving beyond automating processes, reducing costs, and compliance to building value-based relationships with every member of the workforce at all levels of the business. With the SAP SuccessFactors Employee Central solution, you can manage your people locally while supporting the business globally with localized compliance. You are also able to integrate core data with talent and business processes for better insight, strategic decision making, and, ultimately, better business performance. Providing visibility into the entire workforce, Employee Central lets you combine people data with financial and operational information from external systems, giving you holistic insights that enable you to collaborate with business leaders on decisions. Simple reporting tools, access to more than 2,000 built-in metrics in the SAP SuccessFactors Workforce Analytics solution, benchmarking and trended data, and drill-downs for analyses give you the ability to define the right people strategies and measure their impact on the business for continuous assessment and improvement. 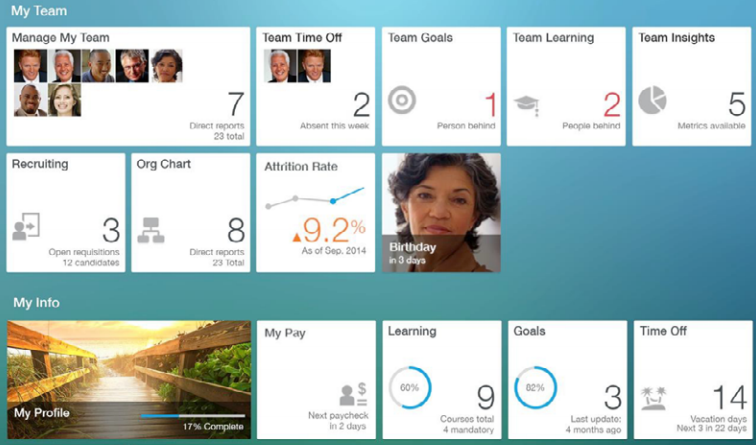 SAP SuccessFactors Talent solutions leverage the same core platform as Employee Central, making it the central hub for everything about people and talent. While core HR is still the reliable system of record, the opportunity for tomorrow is to plan the right business strategy and put the right structures in place for execution – strong and agile enough to meet market changes. 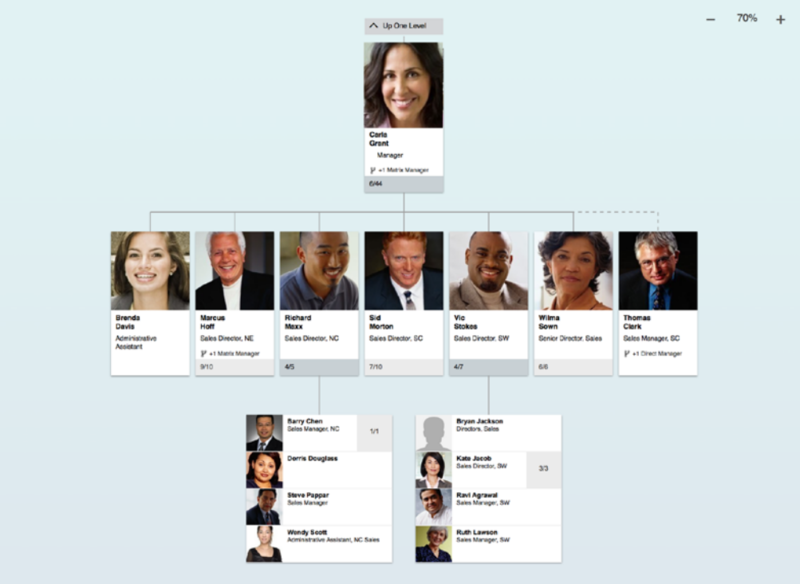 Employee Central provides comprehensive, integrated, searchable people and organizational information. With position management and organizational charting, you are able to create the right structures for an agile organization that supports departments, teams, and individuals. Smart automation, with intelligent services and HR workflows across system and business functions, enables you to manage processes, not just transactions. Reaching your people with information and services they need will boost adoption and add value across the board. With Employee Central, you can deliver HR best practices and give people access to everything they need in one place: smart, simple, and usable. The social and motivational aspects in Employee Central allow people to create a personal profile, tag their knowledge and skills, and encourage and capture peer recognition. With an engaging core HR solution, you enable people connections and maximize engagement. Get a global view of internal and external workers and connects them to strategic talent management capabilities – all with a consumer-grade user experience that improves employee engagement. Transform the work experience with a global core HR solution for the total workforce.